The content on this page and in the linked reports deal with hate crimes and anti-trans violence. What is the ProTrans project? 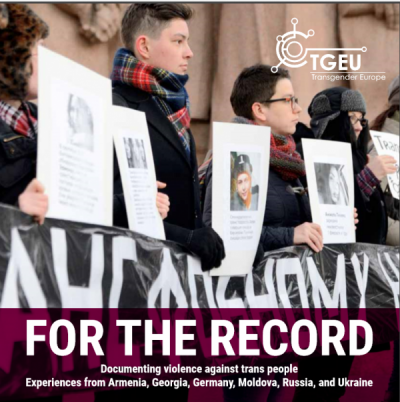 Since 2014 TGEU has been working with 5 ProTrans partners from Eastern Europe and Central Asia on monitoring violence and human rights violations against trans people in this region. The project also has an advocacy part, and the data collected through our monitoring is used to target stakeholders in order to better the human rights situation of trans people. Our project partners have also offered community-based support services for survivors of violence and increased knowledge about possibilities for redress among the transgender community. Watch: Kemal Ördek from Red Umbrella Sexual Health and Human Rigths Association (Turkey), Sanjar Kurmanov from Labrys (Kyrgyzstan), and Artiom Zavadosky from GENDERDOC-M Information Centre (Moldova) talk about the ProTrans project and the experience of their organisations. In 2016 through the Eastern European Partnership Project (EEPP), trans rights collectives and NGOs joined the group of ProTrans partner organisations, and in addition to monitoring and evidence-based advocacy, they have contributed to the development of campaign materials for the Transgender Day of Remembrance (TDoR) and organised a number of events in their countries. Watch: KAy Garnellen from Trans*sexworks (Germany) and Fritz von Klein from Insight (Ukraine) who joined the project in 2016 talk about the Transgender Day of Remembrance (TDoR) events organised in November 2016. Our online monitoring system has been developed and implemented by project partners with the technical expertise of HURIDOCS after a initial project partner meetings in 2014.
Who are the implementing partners? What does the ProTrans project aim to achieve? By working together with LGBT and trans groups and NGOs within the framework of the ProTrans project, TGEU aims to provide systematic data needed to improve public policies to prevent and tackle discrimination and violence against trans people. 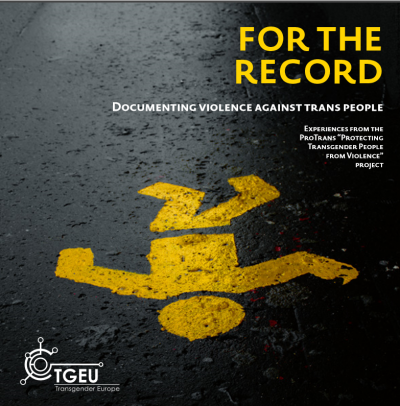 Since 2008, Transgender Europe (TGEU) has been a pioneer in research on trans people’s experience of violence and crime: its Trans Murder Monitoring (TMM) Project has documented 2,343 cases of murdered trans persons since 2008 (117 in Europe). 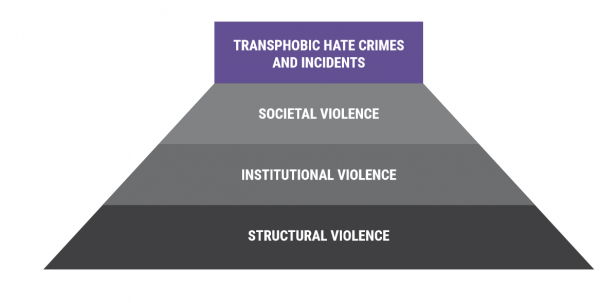 Trans people around the world face multiple types of violence: structural, institutional, societal, and direct violence. Structural violence is violence that is inscribed in the very social structures in which trans people live, produced and maintained by ideologies of gender and sexuality and relationships of power that collude to restrain agency. Transphobia can be institutional, reflected in policies, laws, and institutional practices that discriminate against transgender people. It can be societal, which is reflected in rejection and mistreatment of transgender people by others. Finally, it can manifest in interpersonal anti-trans incidents and hate crimes specifically targeted at trans people. The project reports capturing our joint work and documenting structural, institutional, societal, and interpersonal violence against trans people are available clicking on the pictures below. 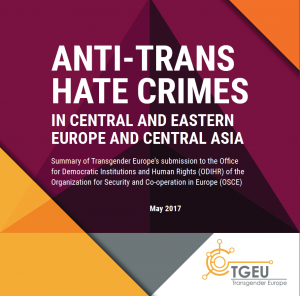 Anti-trans hate crimes in Central and Eastern Europe and Central Asia. A summary of TGEU’s May 2017 submission to the Office for Democratic Institutions and Human Rights (ODIHR) of the Organization for Security and Co-operation in Europe. (OSCE). Download it by clicking on the image or here. The report outlines 141 recorded cases from 12 countries in 2016. The reports were collected by 9 civil society organisations, and include type of hate crimes, type of perpetrators, and location of hate crime. 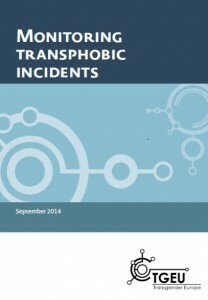 The first publication of the project entitled ‘Monitoring Transphobic Incidents’ aims to provide an introduction to the topic of monitoring discrimination, hate speech and hate crimes by defining the most common terms and present guidelines on how to use the online monitoring tool developed by TGEU and its partner organisations. Setting up a monitoring scheme and accompanying victim support services is an enormous task that requires careful resource planning and expertise. However, in this booklet we still attempt to highlight some key issues and showcase one hopefully useful tool for those groups and civil society organisations that want to improve their monitoring and reporting activities and engage in comparative data collection at the European level. Since the beginning of the project, partners have been submitting their hate crime cases to the Office of Democratic Institutions and Human Rights (ODIHR) of the Organization for Security and Co-operation in Europe (OSCE). Click here to access the submission containing cases collected from 2014. Click here to access the submission containing cases collected from 2015. Click here to access the submission containing cases collected from 2016. Partners reached out to the trans community with multiple tools, including distributing brochures to encourage reporting and seeking redress. Click here to download the brochure of Gayten-LGBT (Serbia). 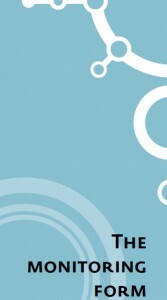 Click here to download GENDERDOC-M’s (Moldova) brochure in Russian and here to access it in Romanian. Click here to download Red Umbrella’s (Turkey) leaflet. Click here to download Transvanilla’s (Hungary) flyer. If you want to join our efforts to monitor transphobic discrimination, hate speech and hate crimes, please get in touch with Akram Kubanychbekov, at akram@tgeu.org. Akram will provide instructions on how to access and use the online monitoring system or include your individual incidents in our database. The project is supported by the Federal Foreign Office of Germany and the U.S. Department of State, Bureau of Democracy, Human Rights and Labor, Global Equality Fund: Programs to Protect the Human Rights of Lesbian, Gay, Bisexual and Transgender people.